The chest is one of the most important areas of the body, housing many of the essential organs, including the heart, lungs, trachea, esophagus, and thoracic diaphragm. Because these organs all require blood to function, circulation is particularly active within the chest. The body is designed to protect essential organs and other critical parts (like the spinal cord), and the organs of the chest are shielded from most injuries thanks to rib cage. But the rib cage isn’t infallible, and when enough force is involved, the rib cage or/and internal organs can suffer serious harm. If you are the victim of a chest injury, our Revere personal injury lawyers can help you to understand the process of recovering financial compensation for harm suffered. These injury types can all be very serious, leading to complications like internal bleeding and significant blood loss, ventricular dysfunction, myocardial infarction, pulmonary contusion, and even cardiac arrest and death. 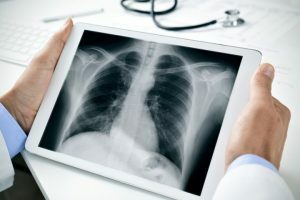 Chest injuries are often sustained in accidents that involve a significant amount of force, such as a car accident, serious slip and fall, fall from height accident, or pedestrian, bicycle, or motorcycle crash. An injury to the chest is incurred when either a foreign object penetrates the chest (which can also be intentional, such as via gun or knife wound), or from blunt trauma (the chest being impacted by an object with force). It is important to note that even when a significant external injury is not visible, it is possible for a serious internal injury to have been sustained. Serious internal injuries demand immediate medical treatment, as they can be life threatening. If you have suffered a serious chest injury, you may face long-term complications, or temporarily be prevented from engaging in certain activities, returning to work, and overall suffer a diminished quality of life. If your chest injury would not have been sustained but for the careless or negligent actions of another party, our experienced Revere personal injury lawyers at The Law Offices of Alan Hildreth King & Associates can help you to understand what to do next. When another party’s fault causes a person harm, the injured person has the right to seek compensation for the full value of their losses. This means you deserve to be compensated for your medical expenses, lost wages, and intangible losses, like pain and suffering. To start the process of recovering compensation after suffering a devastating injury to the chest, please contact our Revere personal injury lawyers today. We understand the severity of chest injuries, and know how to file a successful claim for compensation on your behalf. Contact our law firm today at (781) 284-2900 for a free consultation.